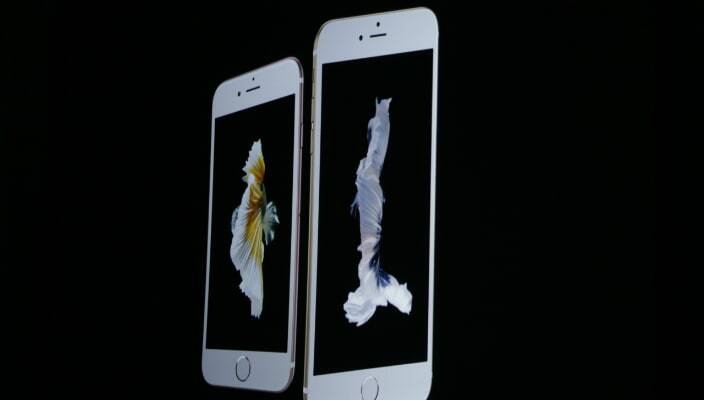 The only major difference between the two phones is their screen size, dimensions and weight. With a higher-resolution 5.5- rather than 4.7in screen, the iPhone 6S Plus is necessarily larger and heavier, at 158.2×77.9×7.3mm and 192g. It also has a larger-capacity battery. As can be expected from an ‘S’ year, the next-generation iPhones don’t look all that different from last year’s models. However, the innards have been significantly tweaked. The new iPhone 6S is also available in a new Rose Gold color option and a 12Mp iSight camera with support for 4K video recording. Apple has also packed an innovative feature called 3D Touch, which shows an extra dimension to the screen you’re used to. Using Force Touch, which is already available on the Apple Watch and on new MacBooks, users can hold down on various apps to both ‘peek’ and ‘pop’. As is standard with Force Touch, the iPhone will offer haptic feedback as a part of the 3D Touch experience. 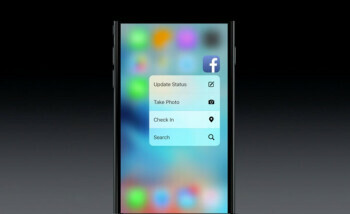 A few examples of 3D Touch on the iPhone include: lightly tap on the camera icon to get camera options, and press harder to go straight into selfie mode, lightly tap on various app to choose to go into various parts of the app, lightly tap on a flight number and get flight-tracking information as a ‘peek’, or Force Touch an address to get a preview within the Maps app. When you receive a new email. a light press or ‘peek’ will let you preview it, expands the email. Press harder you’ll also be able to swipe from the side or below to interact with the message or simply send it to the trash. 3D Touch also allows you to access apps without even opening them. So from the homescreen you can peek on Phone and Music to quickly call a favorite contact or tune into your music. A Quantum Leap: The LG G4 is the also the first smartphone to use a new 5.5-inch IPS Quantum Display, which offers 20 percent greater color reproduction, 25 percent improvement in brightness and 50 percent greater contrast. The LG G3 was one of best phone you could buy in 2014, and things just get better with the LG G4. Key specifications include a Qualcomm Snapdragon 808 processor, a 5.5in Quad HD IPS Quantum display, 32GB of storage (with microSD support) and a 3000mAh removable battery. With a slight curve in its screen and leather back the LG G4 is a refreshing change from the traditional flat and metallic phones. 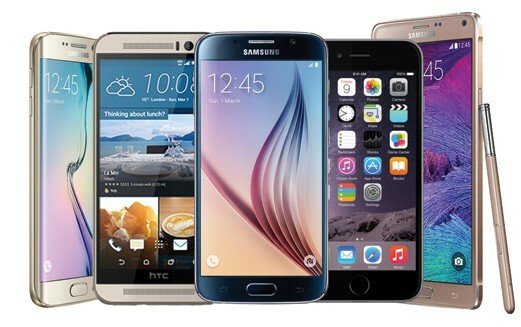 The 2,560×1,440-pixel resolution and 534 pixels per inch (ppi), puts it above the Apple iPhone 6, Galaxy S6 and HTC One M9. The device offers 2GB of onboard storage and a microSD card slot that can hold up to 2TB. Quantum display and how is it different from other displays? The extra color in Quantum Display comes from two things. Firstly, The G4 screen has been designed to closely match on the standards used by Hollywood movie studios, dubbed DCI or Digital Cinema Initiatives and offers wide array of visible colors that can recreate a rich overall image. 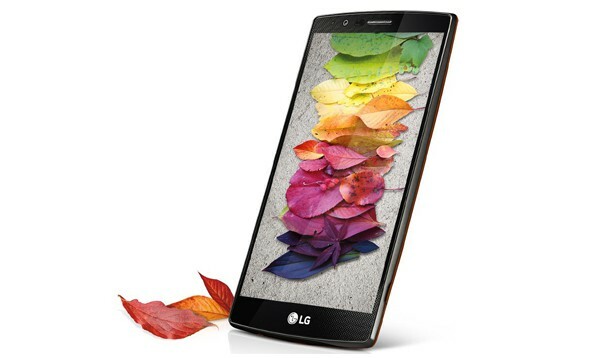 Thus LG G4 has been tuned to offer 98 per cent of the DCI color gamut with deeper saturation in the reds and blues, and generally looks better than the common sRGB standard. Apart from this LG is also using Advanced In-Cell Touch technology that combines the LCD and touch sensor into a single layer, thus LG has been able to offer better color reproduction as well as touch-sensitivity. With this advanced tech, it removes a layer that is found in many smartphones making the screen more thinner and allows through more light and makes the screen more responsive. Talking about the aesthetics, Samsung Galaxy S6 Edge feels razor sleek (7 mm) in hands. The 5.1 inch display bends to the either sides and meets the metal frame at the end of the edges. It looks much better than the single sided curved display of Note 4 Edge because the dual curves add symmetry to the overall design. It packed a whopping 545 ppi that made it deliver the crispiest content in smartphone market. Sadly, that title is taken from it in a short period. Galaxy S6 Edge surpasses the pixel count with an amazing 577 pixels scattered per inch on a 5.1 inch display. It is ridiculously sharp and the content is the crispiest we have seen yet on any smartphone display. First 4K UHD smartphone. Period. Sony Xperia Z5 premium is the latest additions to the Xperia family, which gives a different camera experience with 23 MP and 0.03 autofocus. The super-flagship Z5 premium redefines mobile entertainment with the world’s first 4K UHD smartphone display and 4K Ultra HD upscaling technology. The 4K screen comes life only when you view images and videos in Sony’s preinstalled Albums and Movies apps only. The rest of the time, the display only works in Full HD resolution. The smartphone is powered by the Qualcomm Snapdragon 810 processor, featuring octa-core CPUs, 64-bit capabilities and ultra-fast 4G LTE speeds, letting one reach new levels of performance for video, photography and gaming. 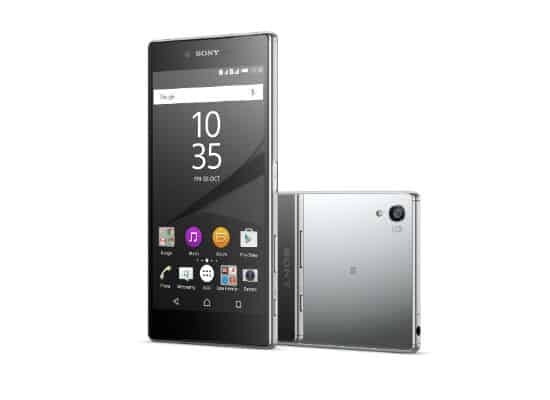 Xperia Z5 Premium comes with 32 GB internal memory and has the capability to take a 200 GB external microSD card, which in turn offers extra space for 4K videos, movies, and images too. However there’s little content available out there which can truly justify the sharpness of Xperia Z5.